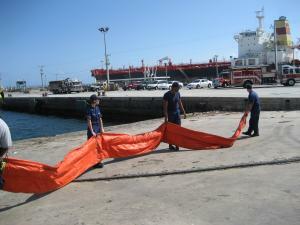 In conjunction with the U.S. Coast Guard, the petroleum industry and a variety of emergency response contractors, the Port has developed a comprehensive, ongoing spill prevention and oil recovery program. In addition, all underground fuel storage tanks have been removed as part of a Port initiative to reduce the potential for groundwater contamination. One of the greatest dangers to water quality comes from a surprising source – rain. Our oceans could become polluted from stormwater that runs off the ground in industrial areas when it rains. The Port has implemented multiple programs, regulations, and drainage systems to ensure stormwater is properly collected and disposed.